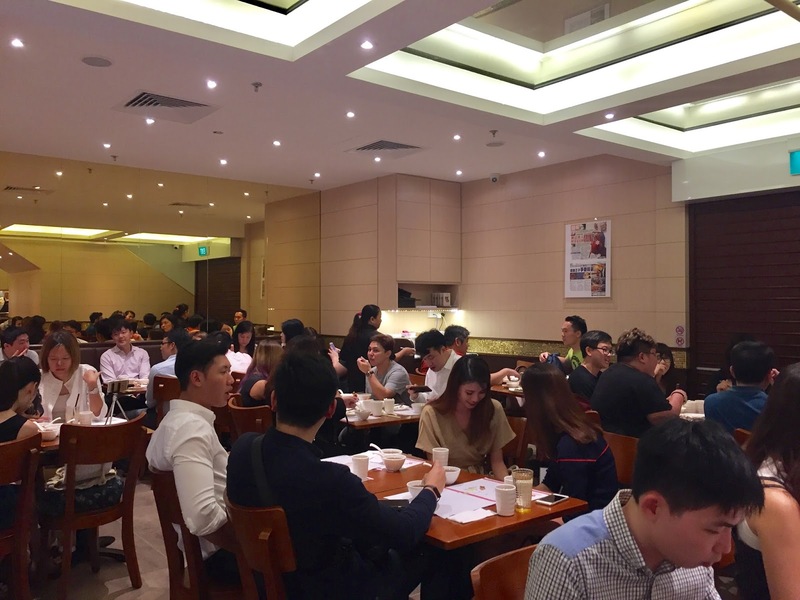 Kam's Roast, Hong Kong's Renowned Roast Restaurant Opens in Singapore | JACQSOWHAT: Food. 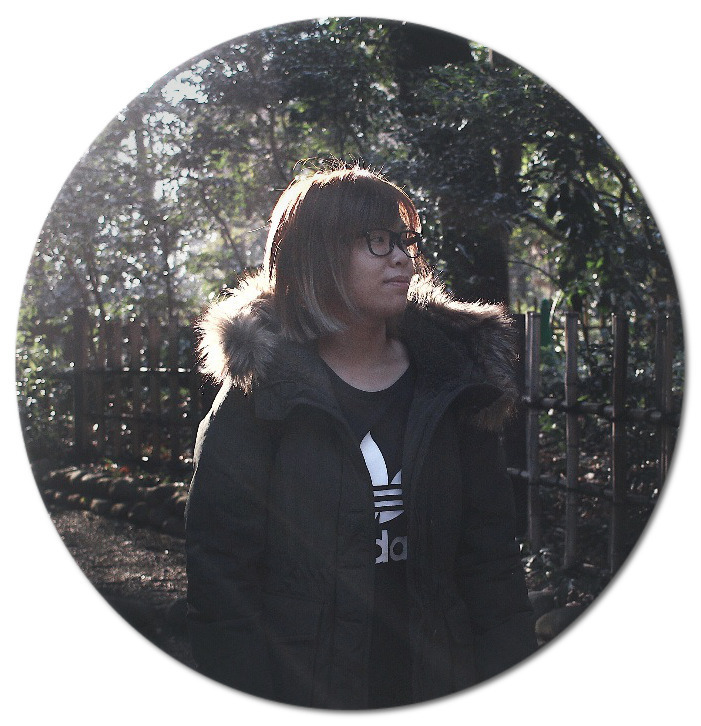 Travel. Lifestyle. Kam's Roast, Hong Kong's renowned roast restaurant has finally make their first overseas debut here in Singapore, with more international brands arriving on our shores. Kam's Roast is now situated at Pacific Plaza where Tsuta, the first Michelin starred ramen eatery made it's international debut sometime earlier too. I was stoked to learn that Hong Kong's famous roast restaurant, Kam's Roast has set it's foot into Singapore, making it their first international branch. Kam's Roast, who was awarded the Michelin Star consecutive 3 years will be dishing out the same quality and signature dishes as it is in Hong Kong. However, due to AVA regulations in Singapore, the roasted goose will not be available here. Apart from that, there are still other signature dishes like roast duck, suckling pig, crispy roast pork and char siu. Before you indulge into the world of meats, the Marinated Cucumber w Vinegar & Garlic S$6.80 might be a perfect starter to whet your appetite. Otherwise, the Black Fungus w Vinegar S$6.80 makes a refreshing start too. 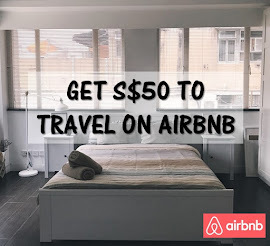 Some highlights are Roast Duck / Soya Chicken (Mixed Portion: S$11.80, Whole Duck: S$48/ Half Duck: S$29.80 Quarter Chicken: S$14.80). 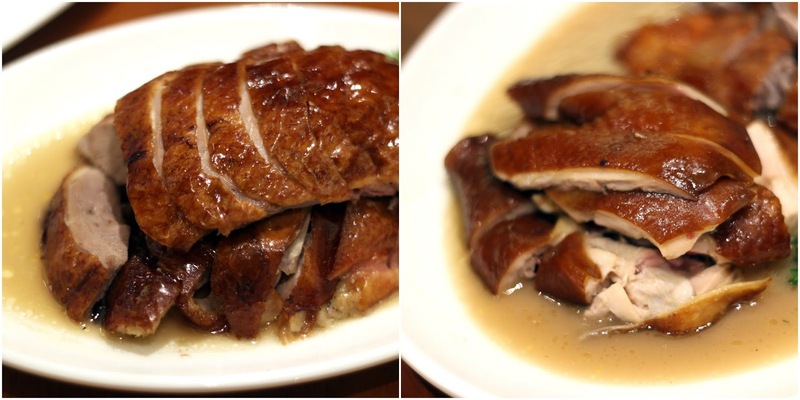 The roast duck (on the left) features a tender texture, be sure to elevate the flavour of the meat to another level with the gravy, or just drizzle them on your rice - shiok. Where else the soya chicken (on the right) was pleasantly soft and tender, with the skin it packs the flavour together. For me, it's chicken over duck. Kam's Roast also serves up Crispy Roast Pork $14.80, where it feature a gold and crunchy crackling. A classic roast pork just isn't the same with a nice crackling and I'm glad that Kam's Roast did it right. In addition, the Roast Suckling Pig (S$34.80 per portion, S$148 Half, S$248 Whole) is also available for pre-order and takeaway. This is absolutely the star - the 'Toro' Char Siu S$22.80 (BBQ Pork Belly) contain layers of lambent fat and juicy meat where it boasts a melt-in-your-mouth texture and presenting all of it's glistening and perfectly charred glory. If you prefer a leaner meat, you may wish to go for Char Siu S$14.80 (BBQ Pork Meat) instead, where it doesn't have as much fats as Toro. For me, I'm definitely all in for the Toro. Apart from just having roast meats, you can pair them with plain noodles as well - Braised Noodle with Ginger Scallion S$6.80. 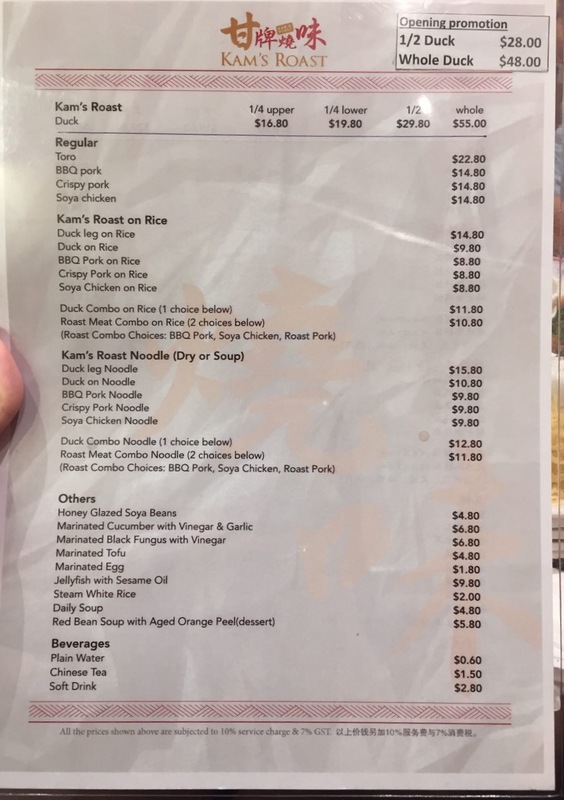 Otherwise, a selection of Kam's Roast meats with noodles include Dry Duck Leg Noodle S$15.80, BBQ Pork Noodle S$9.80 or even a mix of 2 roast meats for S$11.80. 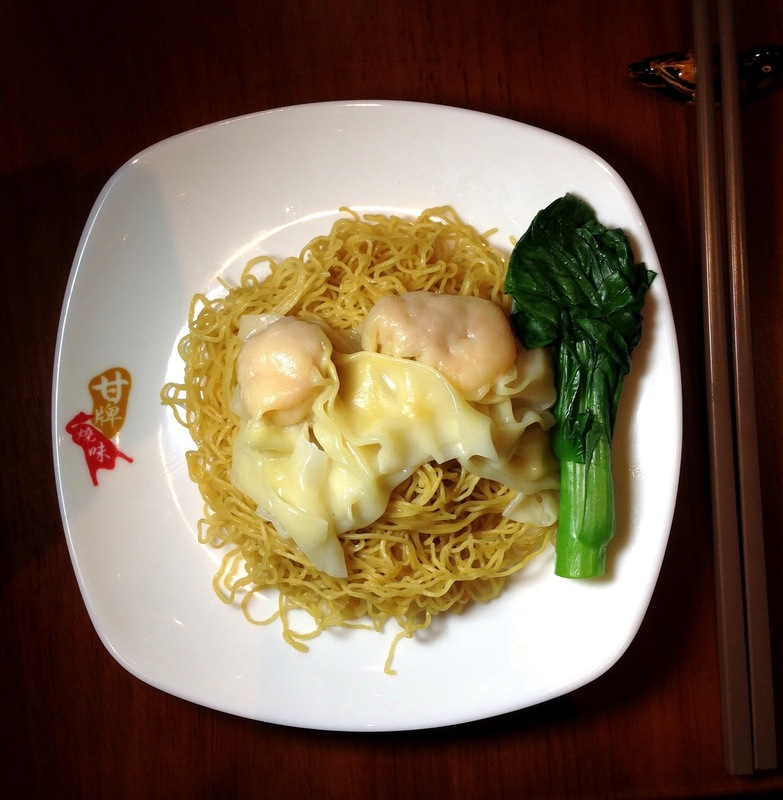 Just like any Hong Kong brand eatery, the al dente wanton noodles have a slight alkaline taste where some people may not fancy it. You can expect to cap off your meaty meal with Kam's Red Bean Soup S$5.80 that comes with aged orange peel. And so apart from the wanton noodles that is only exclusively available in Singapore, the rest of the dishes will be the same of that in Hong Kong. I'd be back for the char siu at a later date once the crowd has died down, till then!